Patients with inflammatory bowel disease may benefit from cannabis-based drugs, UK scientists believe. The Bath University team found an abundant number of cannabinoid-2 receptors in certain tissues of the intestine of patients. They believe this is part of the body's attempt to dampen down the inflammation and that giving a drug that binds to these receptors could boost this. Dr. Karen Wright and colleagues examined gut samples from healthy people and patients with inflammatory bowel disease. CB1 and CB2 receptors were found in several tissues of the large intestine of both groups. However, the patients had far greater numbers of CB2 receptors in the epithelium characteristic for the disease. 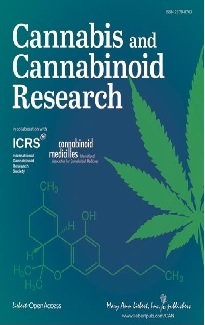 Activation of the CB2 receptors by cannabinoids enhanced healing of the tissue. 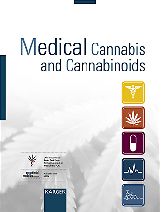 This observation provides a rationale for the treatment of inflammatory bowel diseases such as Crohn's disease and ulcerative colitis with cannabis products. When people have inflammatory bowel disease their immune system produces inflammation in different areas of the digestive tract. This causes symptoms such as pain and urgent diarrhoea. Anecdotally, people with Crohn's disease and ulcerative colitis have reported that their symptoms get better when they use cannabis. First clinical trials with cannabis extracts in Crohn's disease are under way by the University of Munich (with Cannador) and by the British firm GW Pharmaceuticals (with Sativex). Canadian police acting under orders from officials of the United States raided the headquarters of the British Columbia Marijuana Party (BCMP) in Vancouver on 22 July and arrested its leader Marc Emery. Emery and two others are accused by the U.S. of conspiracy to manufacture cannabis, conspiracy to distribute cannabis seeds to the USA and conspiracy to engage in money laundering. The U.S. is seeking their extradition. On 2 August Justice Patrick Dohm allowed Emery to go free on $50,000 bail. He said Emery can continue his political work for the Marijuana Party. Emery will also be allowed to continue running his bookstore, where he sold cannabis seeds, and can resume operations at his Cannabis Culture magazine. His lawyer John Conroy said the case against Emery is unfair because Canadian police have never charged him while he openly sold seeds for nine years. "Even Health Canada was directing people to online websites like Mr. Emery's to buy seeds. And now they're helping the Americans," he said at a news conference.